The Rt Hon. 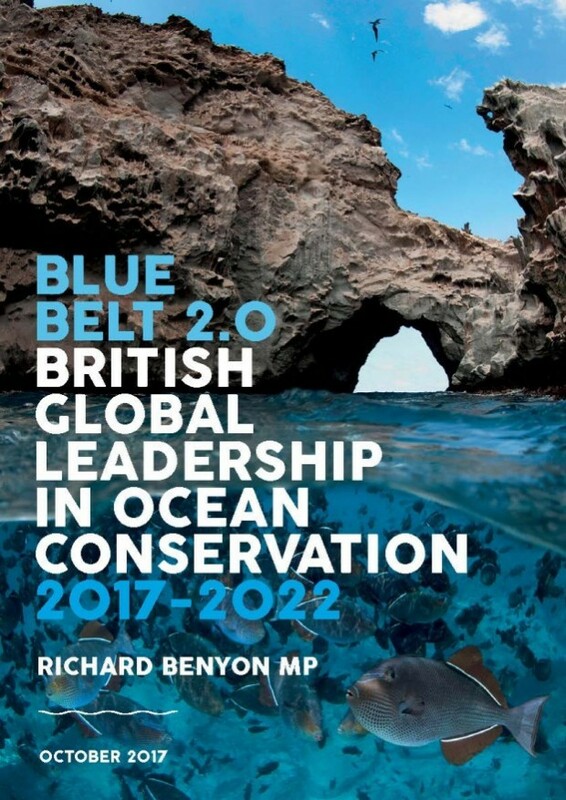 Richard Benyon MP, member for Newbury and former Fisheries Minister, has launched his Blue Belt 2.0 pamphlet written with the help of the Great British Oceans coalition. Since the government designated the Chagos Marine Reserve in 2010 it has provided funding via the Foreign and Commonwealth Office to designate, implement and manage other marine protected areas within UK Overseas Territories. The UK Blue Belt programme is at the forefront of marine protection and along with UK experts aims to deliver better scientific understanding of environments and ecosystems. Extending the UK’s network of marine reserves will help make a significant contribution towards the UK’s commitment to protect 10% of the world’s coastal and marine areas by 2020 through the UN Convention on Biological Diversity. By maintaining and extending funding up to the end of this parliament in 2022. By spending Blue Belt funding in the UKOTs. By replacing upcoming loss of EU environment funding. By extending monitoring and surveillance efforts out to a 100 nautical mile ‘buffer zone’ around Blue Belt sites. By leading in the United Nations diplomatic effort to create marine protected areas on the High Seas. By leading in securing more effective conservation performance from Regional Fisheries Management Organisations. Specific policy goals for each Territory are outlined in detail as recommendations for successful implementation of the Blue Belt. Mr Benyon also announced that existing funding of £4.8 million per year will be extended to 2022 to mirror the new end of parliament. The full Blue Belt 2.0 British Global Leadership in Ocean Conservation 2017-2022 pamphlet can be downloaded here.